The crickets are so loud it’s like an orchestrated cacophony of chirps and tweets. I can tell the school’s new rules about homework time are under way because it is so quiet in the classrooms. My fellow dorm matron Gisele showed me how to wrap my hair in Ketenge fabric so I’m sporting the local look listening to the crickets and some reggae from Tanzania. I feel very content. I love it here. Unfortunately, there are some things that leave me feeling less than content. For example, since East Africa is a resource poor region, the quality of maternal care is… less than perfect, shall we say. T.I.A. 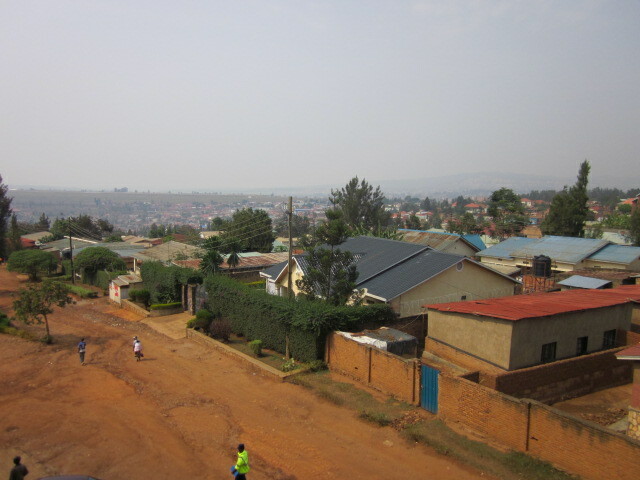 The other day, I sat observing a conversation in Kinyarwanda allowing the rhythmic language to flow into my mind and my co-worker translated the conversation for me. The young woman telling the story exposed her belly a few times, pointing to her abdomen. So, this young woman was delivering her first-born child and when she complained of labor pains the nurse would just slap her. Then, she got into an argument with the doctor just before delivering her baby via C-section. So his punishment to her for getting into the argument was to sew her abdomen back up with shoe laces. Shoe laces. She had them in for a year and a half and had to have them surgically removed. In this situation there just wasn’t enough respect given to the woman or respect over the female body in general and the incredible act of creating life. It saddens me how much women have to endure in malicious situations like this around the world. But on the brighter side, it is an interesting time to be in Rwanda right now for good reasons as well. Rwanda is the only country in the world where women make up more than half of the parliament. Just a few days ago there was a meeting of hundreds of people right here in our very own community center at the Gashora Academy where women running for election spoke out and discussed their plans for when/if they become elected. It is an amazing time to be here. Although I say this sans rose-colored glasses, the country really is making leaps and bounds. Just 19 years after the devastating genocide, the country is working heavily on reconciliation and uniting the people, poverty has reduced significantly and the economic sector is improving due to entrepreneurship, education and an emphasis on technology careers. The ammount of infrastructure and development happening here is pretty remarkable. Each time I go into Kigali, new buildings are sprouting up and taking shape. Potentially, this kind of development can be a model for countries around the world struggling to recover from catastrophes and to climb out of poverty. It will be very interesting to see how things progress here.